Join us and our vendors for a fun filled afternoon. Free admission, door prizes and samples. For more information, call 402-223-5233 Option 9, Amy Stokebrand. 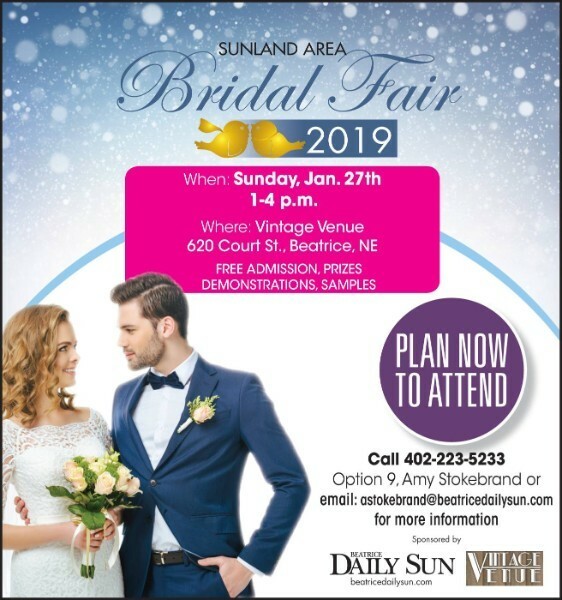 Sponsored by Beatrice Daily Sun and Vintage Venue.